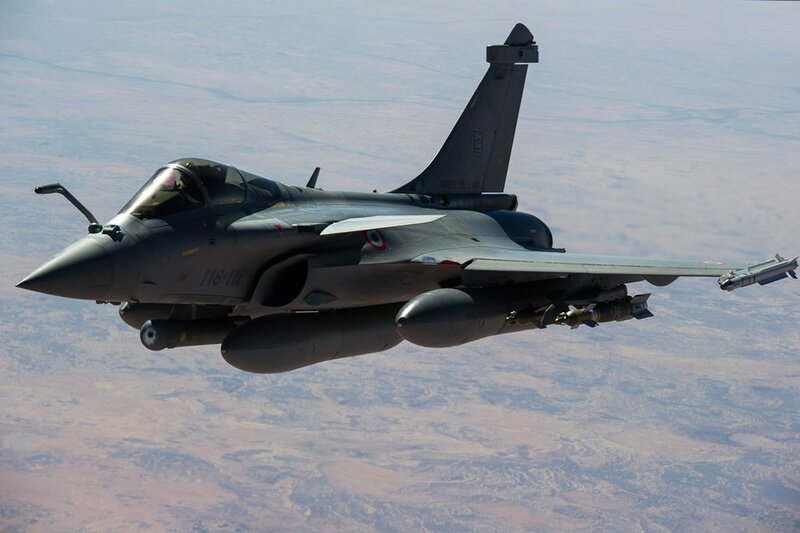 The French Ministry of Defense announced massive airstrikes against Islamic State stronghold of Raqqa, ISIL’s center in Syria. The strikes began a day after ISIL claimed responsibility for the coordinated terrorist attacks in Paris that killed at least 129 people and wounding many more. A French Defense Ministry statement said the operations were launched from bases in the UAE and Jordan and was conducted in coordination with U.S. forces, which have been conducting repeated airstrikes against ISIL in and around Raqqa. Meanwhile in Baghdad, Iraqi Foreign Minister Ibrahim al-Jafari said Iraqi intelligence had obtained information before the Paris attacks that the Islamic State was planning an imminent strikes overseas that may have been aimed at France, the United States, and Iran. Increased number of sorties against ISIS is a welcomed development. I for one commend the coalition on this part of their involvement in the fighting in Syria. Certainly it is better now than never, but the bombing campaign should have been heavy/intensive from the start. 20 Bombs the french airforce dropped down. This is really nothing. Russia had no day left without 200 bombs...its really crazy. Is this the response of a unsc member???? Surely the bombing can only be as heavy as the number of targets that can be found?